She’s baaaaack. 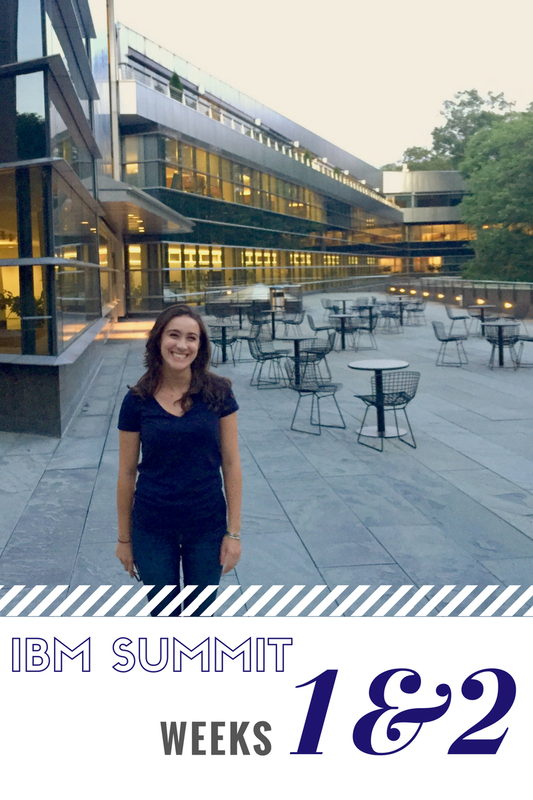 If you were following along last summer, you would know that I interned with IBM in sales and had one of the best experiences I could have imagined (check out last summer’s posts here). From attending interesting events, to meeting exciting people, to solidifying my love of sales, being an intern in the IBM Summit Program shaped my college experience and prepared me to enter my first, real adult job. And now here we are, a year later, and I am a full-time Sales Specialist trainee in the Summit Program. The Summit Program is a 6-9 month training program (6 months for non-technical sellers, 9 months for technical sellers) where hires learn about the IBM sales process and get exposure to the wide-ranging portfolio. This is done through a variety of methods including virtual learnings, classroom sessions, role-plays, actual plays (more on that below), and shadowing and assisting opportunities. For the kickoff, my cohort (Summits start on some different dates throughout the year) headed to IBM’s headquarters in Armonk, NY. Although I never actually got INSIDE the headquarters since we were staying in the Learning Center (see the picture above where I'm just happy to stand outside), it was exciting to be so near to the center of the IBM machine. The first two days we were with all new IBM hires, including developers and designers and anyone new to IBM. The following two days were dedicated completely to the Summit Program. Despite the leaders continually reminding us that we were not on a college campus anymore, you could have fooled me. There were acres of woods with a main building and dining room, as well as smaller buildings with hotel rooms. 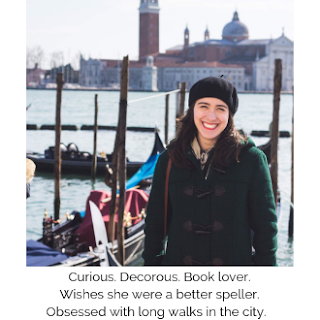 When I first arrived and settled into my room, I felt first day jitters. What information would I be expected to know? Would all the Summits like each other? Were my outfits for the week good? It felt like the first day of school. When I went to the main building for dinner on that first day of travel I found out that over 100 of the people who were supposed to be there were delayed because of weather! I ended up meeting some of the Summits from the Manhattan office, who luckily avoided flying, and had the opportunity to dine with my manager. He told us to get ready for some delicious food and that we should expect to gain the Summit 60 just like the Freshman 15. And he wasn’t kidding as there was dessert at every meal and a continuous stream of snacks! The first full day kicked off with paperwork and an introduction to IBM culture. Two inspiring and talented guest speakers came who imparted words of wisdom about starting our IBM careers. The first speaker, Wagner Denuzzo, asked us to think of one word to define our year with IBM and what came to my mind was “bright.” To me, this means it will be an interesting, positive, growth driven year as I discover where I fit into the IBM machine (also, wondering if it’s awkward to say “IBM machine” since the M in IBM stands for Machines, but we’re just going to go with it, especially since I already said it a few paragraphs ago). Our second speaker, Steven Adler told us the story of how he became a self-proclaimed “information strategist” with IBM and told us that our path with the company is never set. We always have the opportunity to act on our ideas and to advocate for their importance across the organization. We also heard from executives, such as Laura Smith and Lee Pressley. What impressed me was that people in upper level management were willing to come and speak with us, demonstrating the investment and trust that the company puts in us Summits as we join IBM. Over the course of the first two days we got to play trivia games (cue my competitive nature singing), interact with people from all over the country, and eat that delicious food I mentioned before. My favorite takeaway was when one of our leaders asked us why we think IBM had such trouble in the 90s when the company nearly went under. We were all a bit unsure of how to respond, but she told us it was because the company had become complacent and arrogant. So often we try to hide from our mistakes or act as though problems are not our fault, however IBM recognizes that we must acknowledge where we came from and make changes for the future. The following two days were Summit focused, where we were taught more about our program and the expectations; my absolute favorite part was unexpected. My manager, Angelo Reid, pulled me aside during one of our breaks and asked if I would like to participate in a play about a day in the life of an IBM salesperson. “That’s right up my alley!” I exclaimed. “You don’t know this, but I was an actress as a child” (there’s nothing I love quite so much as discussing my early, and short lived theatrical career). “I could tell there was something there,” Angelo (a fellow actor!) responded. The cast got together to read through the script and ended up deciding that it would be helpful to include slides behind us defining all the acronyms that we used. I created the PowerPoint as we read and when we performed the next day, we got rave reviews. A few of my fellow Summits told me that if this whole sales thing doesn’t work out, I definitely have a future on the stage. It’s nice to have a plan B. This week I came to the Manhattan office and it was great to be back! My time has been filled with virtual learning, getting reacquainted with IBM tools, and working with my team to prepare for our first sales call for Global Sales School. During the next 6 months of training we will travel to different IBM locations where we will participate in sales role-plays and presentations. To say I am excited and can’t wait to get there is barely scratching the surface. I am ecstatic to be in a program that is dedicated to my development. Since this post has already become longer than originally intended, I will leave it here. The first two weeks of the Summit program have been fantastic, and I intend to continue blogging. As of now, I plan on posting every other week, but depending on how packed a given week is that may change. Be on the lookout for the next installment!